Anyway, I received a message from a reader a mere couple of hours after publishing that article. It came with a suggestion: that I update the piece to include a section honoring director Takao Okawara, best known for his work on the Heisei series and for Godzilla 2000: Millennium (1999). I honestly wasn’t surprised to receive a communique of this nature, given the immense popularity of the ‘90s Godzilla movies and the fact that I, myself, once thought highly of them as well. Alas, it was my sad duty to reply that in my current view, with the benefit of 20/20 hindsight, the bulk of Okawara’s films ranged between so-so and downright atrocious…ergo his absence on the list. Once again, a director’s outlook on a property he’s adaptating has precious little to do with whether or not he can fashion something worthwhile with his camera. And my goal with They Weren’t Fans was to salute interesting non-fan directors, not just any non-fan director. Despite expressing limited enthusiasm for the franchise (though he admits to admiring the first three made by Ishiro Honda), Takao Okawara’s largely lackluster contributions prevent me from ranking him favorably in the company of other, more prominent kaiju eiga directors. Now, to be fair, Okawara does have a noteworthy place in this franchise from a historical perspective. His Godzilla vs. Mothra (1992) was a tremendous box office success, selling well over four million tickets and becoming the highest-grossing domestic Japanese feature of the 1993 movie year. His two Heisei follow-ups, Godzilla vs. MechaGodzilla II (1993) and Godzilla vs. Destoroyah (1995), also garnered respectable returns. And Godzilla 2000: Millennium, his final assignment as a movie director, is often credited for sweeping up the “mess” left behind by the Tristar film as well as spawning the Millennium series. However, at the end of the day, box office statistics really don’t mean much when it comes to critical evaluation. (Films make—and lose—money for a variety of reasons.) All of Okawara’s Godzilla pictures were perfectly serviceable for my younger self, but the vast majority of them strike me, these days, as second- or even third-rate efforts. Furthermore, I do think it’s fair to say his induction as series director played an instrumental part in the serious qualitative drop that befell the once-excellent Heisei saga. The first three films in this era had a number of fresh ideas and even, in some cases, genuine artistry to their credit, and they were worthy successors to the original classics; but as soon as Kazuki Omori abdicated the director’s chair and Okawara took over, something of great importance seems to have been lost. He wasn’t the only negative factor involved, to be sure, but as the man supervising the shots, the actors, the pacing, etc., a great deal of the blame must reside on his shoulders. Still, as one of the more ubiquitous directors to contribute to Godzilla, Okawara is someone worthy of contemplation. In the course of this essay, I’ll be examining his entire output (including his three non-Godzilla films), articulating his recurring weaknesses as well as championing a select period in his career that, had it gone on longer, might’ve validated him as one of the more interesting post-Showa directors. 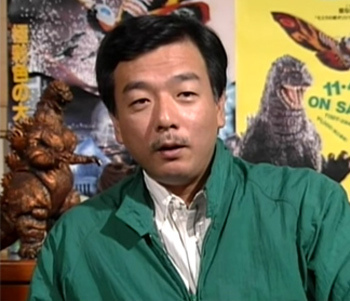 Okawara’s first professional encounter with the King of the Monsters occurred in 1984, when he served as an assistant on Koji Hashimoto’s The Return of Godzilla. How fitting, in hindsight, that the most fiscally successful director of the Heisei series began his association with the very film which gave birth to the Heisei series. At the same time, though, working on this particular motion picture wasn’t exactly a defining moment. The Return of Godzilla was a serious, grounded film which bore precious few similarities to those Okawara would later direct; and if the production left any lingering influence on him at all, it was the assertion, offered in hindsight, that “everyone took it way too seriously” and that the final product would’ve been better had they “concentrated on making it a more entertaining movie.” To him, monster movies weren’t something to be treated with a no-nonsense approach. This mindset is more than evident in the man’s work. While the monsters are, for the most part, played straight, the human scenes in Okawara’s pictures are frequently littered with little moments of character interplay clearly intended as humor. As an example, let’s consider the first act of Godzilla vs. Mothra. 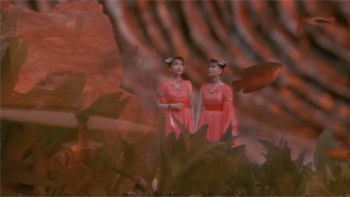 Following a silly Indiana Jones-esque sequence staged in an ancient temple, the film’s three main characters venture to the remote Infant Island in search of what turns out to be Mothra’s egg. Upon reaching terra firma, they set out on foot and proceed to comically bungle their way through the forest. After venturing inland a ways, they attempt to cross a rickety old bridge, only to have it shatter beneath their weight. (As they hang from the debris, two of the adventurers—a divorced couple—chastise one another.) In the end, they jump into the river and swim ashore, where their designated leader pulls out a map and makes a discovery: they can reach their destination quicker if they travel by water; the incident on the bridge was a blessing in disguise. At that moment, his two companions rise into frame and simultaneously pour the water from their shoes. An intentionally funny sequence that actually pays off rather well, exhibiting some of the better directing in Okawara’s early career. Masahiro Takashima’s protagonist in Godzilla vs. MechaGodzilla II is similarly prone to slapstick: thrown about the room while practicing martial arts; falling asleep in the middle of lectures; building a pteranodon-shaped hovercraft and crashing after it malfunctions midair. (The sort of character Akira Kubo might’ve played had the film been produced thirty years earlier.) And, flashing forward to the Millennium series, Godzilla 2000: Millennium features amusing little moments such as a guy getting repeatedly bonked in the head with a pole and a night watchman screaming in peril as the wreckage of an electrical tower very conveniently lands around instead of on top of him. As indicated in everything I’ve just described, these are not especially serious pictures. And to confirm that is this statement from the director himself: “I think that the tone of many Japanese films is too serious. I regard Godzilla films purely as entertainment.” The monsters provide spectacle, and the humans behave/react in ways that alleviate some of the edge. The sole exception in Okawara’s directorial association with the character is the closing Heisei picture, Godzilla vs. Destoroyah, which treats its apocalyptic scenario with a grim, solemn demeanor—though it, too, wasn’t exactly afraid to grab for a joke once in a while. If one were to gauge the feel of Takao Okawara’s kaiju eiga efforts, the conclusion would probably fall somewhere between the straight-faced early efforts of Ishiro Honda and the campy, feel-good movies of Jun Fukuda. But that is merely a description of the man’s aesthetic, not a condemnation of it. For intent was never the problem with Okawara’s films; it was in the actual execution that the movies started running into trouble. Takao Okawara joined Toho in 1972, at a time when the studio had long-since abandoned its assistant director’s program; assistants were no longer actively groomed to become full-fledged directors and pretty much had to depend on watching their seniors in action to learn the craft. So he didn’t exactly have the longest directing résumé by the time he got charged with making Godzilla vs. Mothra in 1992. He’d made one picture the year before, and even getting permission to do that was a journey in and of itself, due to the inner workings of the studio. As the director recounted in his 2000 interview with Norman England, “[E]veryone has a script they want to sell. Even if you come up with a novel idea, the company usually just offers a little comment like ‘Good work’ and then goes back to business as usual, working with established writers and directors.” To get his foot in the door, Okawara wrote a story aimed at the adolescent audience and submitted it to the Kido Awards, where it won second place and received approval to be adapted into a feature. All too eager to start directing on his own, Okawara accepted the company’s offer and completed his first movie in 1991. And it was this very picture that set him down the path to directing the King of the Monsters. The producer’s enthusiasm is understandable. Reiko, the Psyche Resurrected is a handsome film, a great deal more polished than much of what its director would turn out in the remainder of his career. The fact that Okawara took charge of both the live-action and special effects crews is admirable in and of itself; and the movie, from start to finish, triumphs as a visual feast. In addition to the clever levitation effects, Reiko exudes cinematic tricks such as racking focus and dynamic backlighting. The art direction for the school is nicely detailed, and very often the camera assumes positions and movements that creatively utilize its surroundings: e.g., a series of shots where a student on a motorcycle sees her reflection in the windows of passing buildings and notices an apparition sporadically appearing and disappearing on the seat behind her. On a raw technical level, Reiko excels and one can easily see why Tomiyama was so impressed with it. But, strangely enough, that compliment, itself, adds to a greater disappointment when one regards the film in context. Because Okawara’s debut turned out so well and was so beautifully put together, it is therefore all the more dismaying that the majority of his remaining films, made just a few years later and for umpteen times the budget, retained very few of their predecessor’s positive attributes. On a positive note, Okawara’s Godzilla-directing spree did begin with success, for the most part. Despite its many faults, Godzilla vs. Mothra manages to get by as a decent piece of entertainment. The opening act is actually the most consistent and enjoyable section of the entire picture. As touched on earlier, the director does a wonderful job depicting humorous situations with its three leads exploring the jungles of Infant Island. The pacing in this segment is exquisite, each scene permitted to last no longer than necessary and contributing to very smooth momentum in the narrative. It is also here that the live-action footage achieves its visual zenith. Assisted by cinematographer Masahiro Kishimoto, Okawara successfully captures the scale and physical beauty present in this unique setting. Very often, the camera wanders across unique stretches of terrain or up the heights of waterfalls, or begins a shot on a subject before zooming out to show the sheer size of the surrounding landscape. Unfortunately, once the characters leave the island and the action returns to Japan, Godzilla vs. Mothra begins to exhibit some serious issues. To be fair, this is primarily the fault of screenwriter Kazuki Omori, who unwisely gives up on all the human drama by the middle of the second act. And to Okawara’s credit, he does manage to keep things moving at a reasonably brisk tempo well into the second act and there are some wonderful director-based moments. One particularly nice shot is a close-up fixated on a fish tank as the Cosmos stare in from the other side, their miniscule stature contrasted against the fish swimming between them and the camera. Another favorite moment of mine is when the National Environment Planning Bureau opens its “Main Screen” and the turntable in the center of the room, on which Akira Takarada and Akiji Kobayashi are standing, begins to rotate. As this happens, Okawara toggles between a variety of camera setups (including one set on the turntable), effectively showcasing the action in a stimulating manner. (It doesn’t make much practical sense that the room would adjust that much for the mere opening of a big monitor, but it’s fun to look at.) Unfortunately, by the time of the third act’s arrival, the film more or less devolves into a special effects reel, with the characters spending all their screen time standing off to the side and watching the monsters battle; and while the final fight is entertaining enough, it’s not as dramatically charged as it might have been had the characters been proactive and involved. So, what changed between pictures? I imagine there are a couple of factors at play here—one being the abrupt transition from a small-scale project to large-scale one. Just as Sam Peckinpah got in over his head jumping from the low-budget Ride the High Country to the expensive, star-studded Major Dundee, perhaps Okawara wasn’t quite ready at this point in his career to tackle a big-budget studio movie. Perhaps the limited amount of money available to him when shooting Reiko forced him to use his ingenuity and make every scene, every frame, count; and the vaster resources sudden thrust into his lap with the Godzilla picture left him befuddled, unsure what to do and how best to handle it. I have no way of knowing for sure, but it wouldn’t have been the first time such circumstances befell a fledgling director. Okawara seemed dependent in the beginning on having a good cinematographer in order to turn out a good-looking film. Alas, to his misfortune, the technicians he ended up with post-Reiko only occasionally gave him impressive results. Thankfully one of those who did was Godzilla vs. Mothra cinematographer Masahiro Kishimoto, who would deliver some lush eye candy in Kensho Yamashita’s Godzilla vs. SpaceGodzilla (1994) two years later, and whose work in the 1992 film exhibits some of the grandeur to come and is a mostly solid effort. In some ways, Okawara’s second Heisei entry, Godzilla vs. MechaGodzilla II, is an improvement over his first. Recognizing the diminished character drama in his Mothra picture as a mistake, he sagaciously instructed new screenwriter Wataru Mimura to keep the human characters active and involved throughout the entire story. 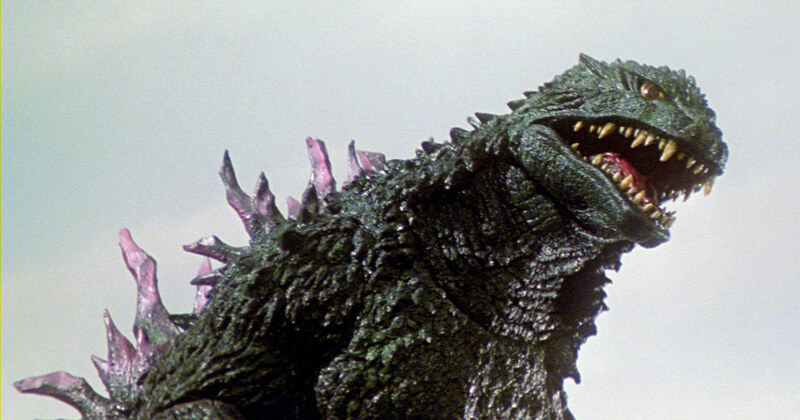 “In [my first Godzilla movie], the actors stood on the sidelines, yapping too much. I wanted to correct this, so I placed a human crew inside MechaGodzilla.” Even though the end results are nowhere near as involving as he intended, the fact that Okawara observed a deficiency in his previous effort and actively sought to rectify it indicates he was growing as a filmmaker, as a storyteller. As history demonstrates, the 1993 movie did not, in fact, wrap up the Heisei series, which would continue the very next year; but it did perform respectably at the box office. On the wholly negative side of the equation, however, the final script, despite containing some potentially interesting ideas and thought-out plot mechanics, actually proves to be one of the film’s major shortcomings. Whereas the final two acts of Godzilla vs. Mothra were hampered by failure to use interesting characters to satisfying extent, the entirety of Godzilla vs. MechaGodzilla II is populated with an excess of dry stick figures who feel barely more alive than the soulless robotic monster of the title. None of them are especially engaging. (Our protagonist may be a goof, but he’s a boring goof. And the acting is quite bland, compounding the problem.) Okawara was onto the right idea with his dramatic structuring here, but he should’ve mandated Mimura give those characters some memorable traits while ensuring their proactivity. 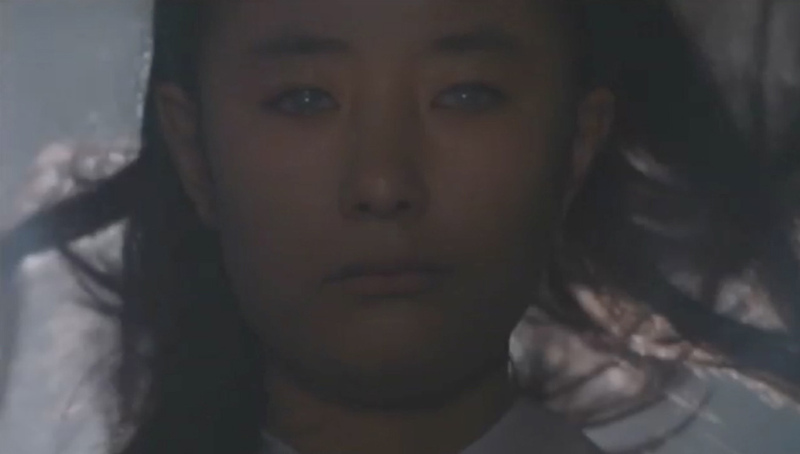 Worse still, the visual and narrative sensibilities have begun an agonizing downward spin. I once more point to an exchange in technical staff in offering my best guess as to why. When Godzilla vs. MechaGodzilla II entered production, cinematographer Masahiro Kishimoto did not return and was replaced with Yoshinori Sekiguchi, the man responsible for the barren color palette in Kazuki Omori’s Godzilla vs. King Ghidorah (1991). What was a noticeable but hardly malignant qualm in the 1991 movie metastasizes here into something truly discomposing. 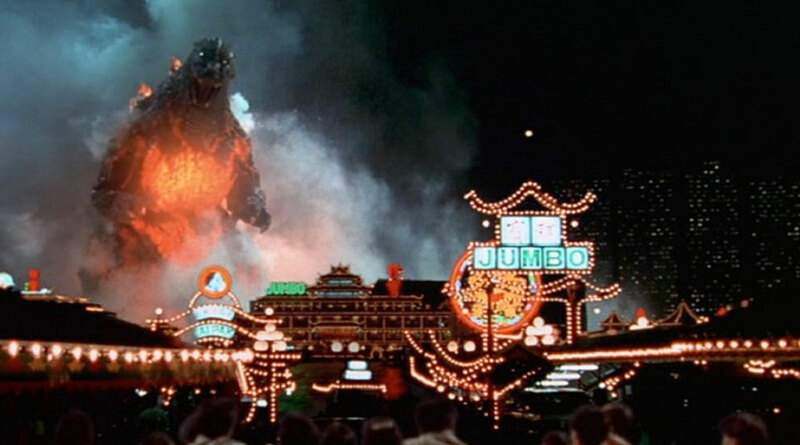 The lighting is barebones and basic, resulting in what could very well be the most unattractive photography in the series since the depressing onslaught of beiges and grays that made Godzilla vs. Megalon (1973) such a bore to look at twenty years earlier. As far as pacing is concerned, entire scenes have a completely inorganic feel, and the picture just awkwardly lumbers around for its entire 108 minutes, to the point where even Koichi Kawakita’s colorful effects cannot replenish its steadily declining pulse. Whereas Omori was a strong enough director to charge his film with succulent energy, Okawara simply allows his cinematographer to render the already-dull situations even more insufferable. But, frightening as it is to say, the worst was yet to come. With two financially lucrative Godzilla movies under his belt, Okawara was understandably eager to try his hand at a different genre; and so, when the offer came from producer Tomiyama to helm the 1994 mythological fantasy Yamato Takeru, also known as Orochi the Eight-headed Dragon, he impulsively accepted. Strangely enough, though, outside of the antiquated setting, the director’s vision for this motion picture wasn’t too dissimilar from his Godzilla endeavors: “I treated it not as a period piece, but instead as a futuristic drama imagined by people living in the past.” Which begs the question: If he agreed to make this specific film in order to try something different from his Godzilla pictures, why not actually make it different from his Godzilla pictures? Certainly a period piece would’ve been completely unlike anything he’d done at this point in his career. As is, the one big stylistic change not pertaining to the setting is the musical score. Instead of tapping Akira Ifukube, he selected the less experienced Kiyoko Ogino, a decision which ultimately achieved little in the production’s favor. Aside from that and a few gimmicks (such as an evil sorcerer serving as a minor antagonist), the director’s 1994 feature more or less has the exact same tone and feel as his Heisei films. If Yamato Takeru has any real significant place in the history of Toho cinema, it is for this little trivia point: it presented Okawara a small opportunity to return to directing special effects. As usual, Koichi Kawakita supervised most of the effects sequences, but there was a fairly lengthy segment in the middle, of the heroes combatting the volcanic god Kumasogami, which Okawara presided over. “[Kumasogami] played against the actors, and, while it could have been done by the effects crew, I thought it would be better if I handled the scene. I worked out the camera angles, the look of the creature and did many detailed storyboards.” Unfortunately, the completed scene displays virtually none of the visual wit which made the effects scenes in Reiko, the Psyche Resurrected so much fun, and the oftentimes clunky execution doesn’t help in the slightest. In one cringe-inducing instance, Kumasogami, standing before the humans, swats a huge arm at one of the characters and completely misses him, and yet, somehow, the actor gets hurled through the air as though struck by a two-ton truck. On top of that, the sequence just feels stagnant, sorely needing tension, and drags its leaden feet along until it finally ends. And in that we have a description of the whole picture, which is one of the dimmest, dullest, most painfully boring pieces of junk ever to emerge from the catacombs of Toho. Even if one chooses to ignore the pathetic excuse of a script (by returning screenwriter Wataru Mimura), this is an enterprise in which very little seems to have gone right. Pretty much everything vexatious about the MechaGodzilla movie is present here, just amplified to the utmost aggravating degree possible. And of all the lousy-looking special effects pictures the studio spat out in the ‘90s, this is the one with the fewest excuses for appearing as bad as it does. Yamato Takeru’s art director, Fumio Ogawa, constructed several amazingly detailed sets for the production, but all the money and hard work that must’ve went into them is scarcely present on the screen, thanks to the humdrum compositions and relentlessly drab lighting: Okawara and cinematographer Yoshinori Sekiguchi predominately resort to nondescript close-ups and link their compositions together without rhythm or grace, rarely showing off just how richly textured and intricate the art direction really is. Of all the pictures in Okawara’s directorial spectrum, this is the one which sinks itself deepest into the bowels of Made-for-TV Land. Now, on a positive note, Okawara and Sekiguchi’s third collaboration, Godzilla vs. Destoroyah, does exhibit marked improvement in terms of presentation: with richer colors and much more imaginative camerawork. For example, the early scene where Dr. Fukazawa attempts to recruit Kenichi Yamane for G-Force incorporates a non-intrusive long take and well-coordinated integration of the set into both the filming strategy and the actors’ blocking. In another effective moment, they position their camera on a crane before diving down to street-level as a crowd of people gather in front of a tunnel. There are points where the pair revert to their old ways (the gray-roomed conference scenes are as boring as ever), but by and large, this is a welcome step forward. Considering this is the same duo who shelled out two soullessly dull corporate products in a row, I’m not sure who deserves more credit for the amelioration here, but I’m inclined to suggest Okawara. For Godzilla vs. Destoroyah does mark a sort of “transition” point: where his movies gradually started shifting much closer to the cinematic. Before we continue with the historical analysis of Okawara’s career, I would like to diverge into a couple of general weaknesses/behind-the-scenes factoids relevant to films covered thus far. These will be used as means of contrasting Okawara’s early pictures with ones he made later on. After seeing Godzilla vs. Mothra in 1992, Ishiro Honda described to an interviewer his opinion that the film’s younger actors never seemed “thoroughly involved” in their parts, and that there didn’t seem to be among them anyone on the level of the actors he’d worked with in his day. (In short, the generation starring in Toho’s special effects productions of the 1990s didn’t seem to have a Kumi Mizuno or a Kenji Sahara in their midst.) Honda may have only lived to see one of Okawara’s Godzilla pictures, but he no doubt would’ve maintained his criticism had he seen the remainder of the Heisei output: with precious few exceptions, the leading performances in the films from this decade were uninspired at best and unforgivably awful at worst, a major downgrade from the generation who had populated the science fiction films of the 1950s and ’60s. Some directors knew how to work around this, others not so much. And this points to another recurring issue with Okawara’s aesthetic: his apparent inability to work with actors. In small fairness to the director, the core issue lies not with him but with the Japanese film industry as a whole. The days in which studios contracted hundreds of screen performers and actually trained them in their craft were long gone, a thing of the past. As the industry underwent its notorious decline in the 1960s-70s, the means through which many of the great talents of the past emerged gradually phased away; and Toho was no exception in this catastrophically adverse sea change. Instead of sponsoring a modern equivalent of the New Face program (the organization which had turned out stars such as Toshiro Mifune), the studio now culled most of its screen talent from J-pop groups and television. Times had changed, and not for the better. So, with all that context kept in mind, perhaps Okawara cannot be designated too much blame for the iffy-to-abhorrent acting in his Heisei pictures. On the other hand, he certainly comes across as helpless when it comes to working against this unfortunate defect. As a matter of fact, he seems perfectly content to just lay out his actors’ shortcomings in full display on the screen. Consider the would-be emotional finale of Godzilla vs. MechaGodzilla II, in which actress Ryoko Sano sobs into Baby Godzilla’s head and Okawara doesn’t even bother to adjust the blocking or switch to a different camera angle to hide her woefully unconvincing expressions. As mentioned previous, Reiko, the Psyche Resurrected triumphs as a decent piece of entertainment and a sumptuous visual feast; however, the performances by the mostly teenage cast are almost universally humdrum. How about directing children? Under Okawara’s supervision in Godzilla vs. Mothra, child actress Shiori Yonezawa comes across as unctuous and unpleasant. In Honda’s All Monsters Attack (1969), however, Tomonori Yazaki is utterly natural and believable: a quintessential depiction of an ordinary kid with whom any young viewer can relate and empathize. The qualitative gap is jarring. Honda was very much an “actor’s director,” someone who took tremendous interest in his casts, who on occasion would step onto the set and demonstrate for them manners in which to perform; but Okawara’s limitations as a director resort him to simply hoping his actors are good enough to perform well on their own, without his guidance. On occasion, he lucks out. The three leads in Godzilla vs. Mothra, all natural screen performers, fare pretty well; Megumi Odaka, who grew as she went, manages a solid performance in Godzilla vs. Destoroyah. But pretty much everyone else resides on the level of Masahiro Takashima, an actor who proved consistently bland and uninteresting in every single one of his science fiction roles (nowhere near as charming or funny as his actor-father, Tadao Takashima). 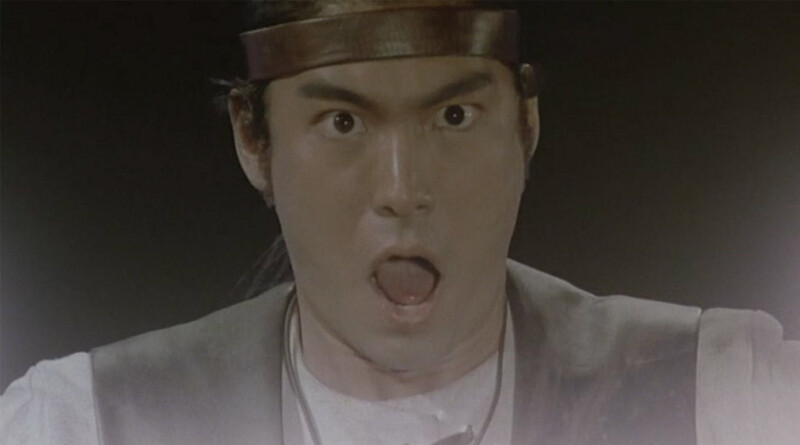 Another particularly flaccid piece of acting that emerged under Okawara’s supervision was that of Takaru Tatsumi as the scientist in Godzilla vs. Destoroyah. In watching the film and observing his relentlessly insentient performance, one cannot help but wonder: Did it ever occur to the director, at any point during the shoot, to maybe encourage his actor to attempt a response to something once in a while, at least give it a good try? As is, Tatsumi wanders woodenly through every scene, a blank gaze of disinterest frozen to his face, his stoic non-expression never changing regardless of whether he’s conversing about his work or observing Destoroyah lay waste to the military or staring down at the aftermath of Godzilla’s meltdown. Admittedly, I haven’t seen most of these Heisei actors in anything but their science fiction output, so I am bearing in mind the possibility that they’ve done good work elsewhere. After all, referring back to the Showa era, I once thought Ryo Ikebe to be the biggest wad of anti-charisma in the history of celluloid, until I started exploring his non-genre efforts, whereupon I quickly realized just how good an actor he could be. So I cannot comfortably outright dismiss any of the primary cast members in these ’90s movies without exploring other projects of theirs; maybe, just maybe, there’s a hidden gem out there, in which they had a good part and a more persuasive director. But as far as their contributions here are concerned, the stars in Okawara’s Heisei pictures leave much to be desired and then some. As a matter of fact, most of the standouts are veterans—trained professionals—such as Akira Takarada, Momoko Koichi, and Akira Nakao. These people, survivors from the bygone age when Japanese film stars knew their craft and knew it well, are experienced and intuitive enough that they don’t need a director’s coaching to figure out their parts and how best to play them. Thus, it’s all the more irritating that these great acting figures are predominately confined to supporting roles while their younger, less impressive co-stars absorb most of the screen time. 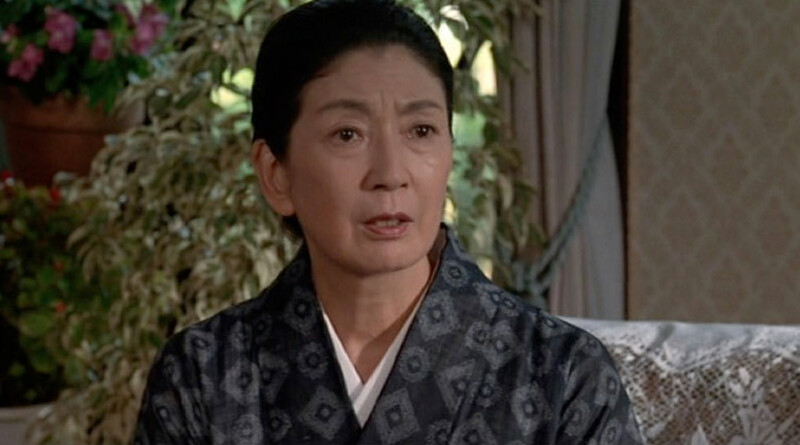 That Momoko Koichi appears for a mere couple of minutes in Godzilla vs. Destoroyah [despite reprising her Godzilla (1954) character] and still manages to leave an infinitely bigger impression than anyone she shares a scene with speaks volumes. In a 1995 conversation with David Milner, Okawara noted how well-trained Kochi was compared to the generation he was accustomed to working with. It was obvious to him, and to the audience, it’s obvious as well. Again, part of the problem ties into phenomena that was plaguing the Japanese film industry at the time—and still does to this day—but Okawara certainly did his stars no favors in just allowing them to meander through their roles without proper guidance. As a result, those would-be funny, would-be touching scenes intended to provide relief between monster attacks rarely paid off. In looking back on the Okawara-Kawakita years, the real highlights, for the most part, were the special effects scenes, which is all the more a testament to the latter’s artistry and craftsmanship. For all his shortcomings, Kawakita regularly managed to breathe some momentary life into these otherwise stale, clunky pictures. Certainly the Mount Fuji eruption in Godzilla vs. Mothra fares as more spectacular and creatively filmed than any of the human footage in that movie. 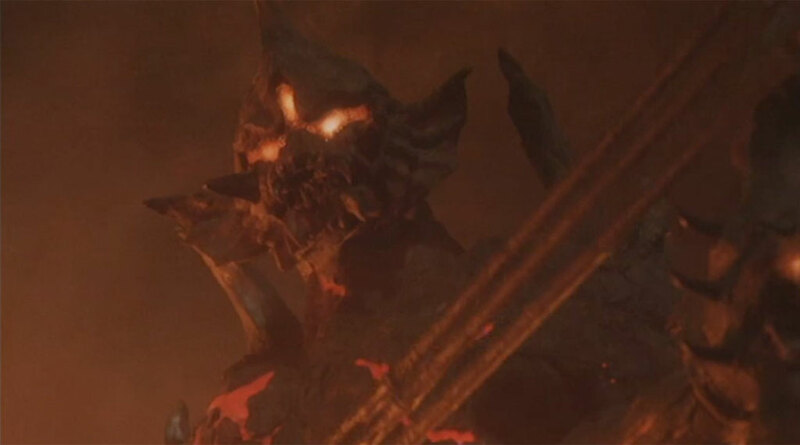 Even the sickeningly bad Yamato Takeru garnered some bursts of effects-oriented excitement, such as when the eight-headed Orochi was exhaling huge gouts of flame, or when the sea monster Kaijin Muba plucked Masahiro Takashima off a cliff and took him underwater. And so, very often, the experience of watching an early-career Okawara film boiled down to impatiently waiting for the monsters to show up. (That’s certainly my domineering reaction in the rare event I revisit one of these films nowadays.) Despite the promise evident in his debut, the man’s career seemed to be leading nowhere special. But, as touched on earlier, Godzilla vs. Destoroyah hinted better times were ahead. While not quite reaching the tier of greatness, the concluding Heisei picture had a few things going for it the director’s preceding efforts did not: improved visuals, atmosphere. It’s still a mixed bag in many ways—namely due to the abundance of plot threads which go absolutely nowhere—but of all the monster movies Okawara cranked out in this era, this one exhibits the strongest directorial hand. And, moving forward, the quality of his pictures would only improve. The opening of Abduction (1997) signals the arrival of mature filmmaking. 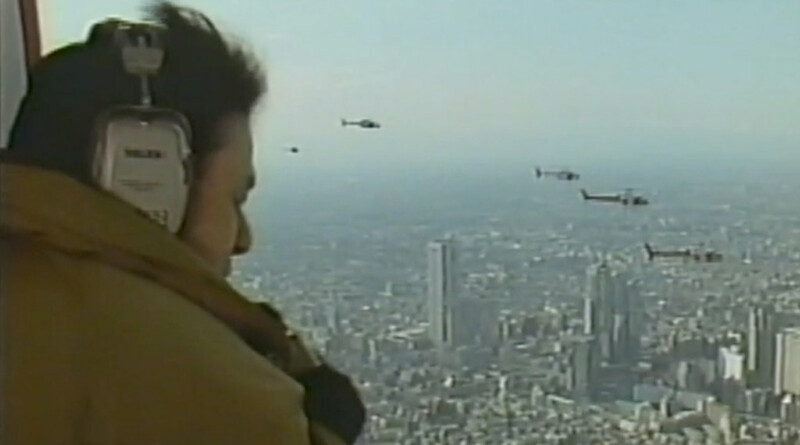 The first shot is a birds-eye view of Tokyo, staring straight down from a vertigo-triggering height at a cluster of helicopters moving above the skyscrapers, an eerie Takayuki Hattori musical cue tingling on the soundtrack. After holding on this vista for a while, the camera cuts to a grounded shot and slowly zooms upward at the helicopters as they continue their bundled traverse over the metropolis. From this point, we cut to another aerial shot—this one much lower than the first—as a suit-clad man lugging three silver cases staggers through the streets, a ring of camera-armed reporters perpetually surrounding him, shifting with his every move. The man stumbles, taking a while to regain his footing. At this point, the camera makes a wise move in delivering the first close-up: of the man (middle-aged, clearly exhausted), gasping for breath as he continues to lurch forward, that mob of reporters refusing to abandon him for a second. The sequence continues to build, cutting inside news stations and to a TV journalist reporting live from one of the helicopters (door open, the other aircrafts visible in the space past him—a marvelous composition). The man with the cases continues to move as fast as he can toward a destination we haven’t seen. The movie is only two minutes old and already director Takao Okawara has drawn us into his story, leaving us with a gnawing hunger to find out what happens next. And in doing so, he completely blows all his previous efforts—including Reiko, the Psyche Resurrected—out of the water. Okawara considers Abduction, his one non-special effects picture, the most polished effort in his directorial spectrum, and it’s no mystery why. This is a thoroughly engrossing film with slick images and an atmosphere rich with tension. The story is, seemingly, quite simple. An automobile is stopped by two other motorists while driving down a country road, and one of the occupants is taken hostage. The kidnapper subsequently taunts the Metropolitan Police Department as well as the executives of a major business corporation through mysterious phone calls, demanding a ransom of 300,000,000 yen. Per his demands, the money must be transported by foot, the deliverer (whom he also chooses) required to race from phone booth to phone booth to receive further instructions. (The script came from a first-place winning story at another Kido Awards contest, and I seriously wonder if the author had been inspired by Hollywood thrillers such as Don Siegel’s Dirty Harry.) As it turns out, there’s more to the titular abduction than meets the eye, which comes together in a beautifully executed narrative, confidently guided by the hand of its director. The whole film could be submitted as an example, but for the sake of discussion, let’s articulate the highlight: a nerve-wracking seventeen-minute sequence in which a bag of ransom money is lugged across Tokyo, first by an elderly business executive until he drops from exhaustion; then by a police official until he drops from exhaustion; then by a younger officer, who continues the delivery on foot a ways, then hops on a bicycle before borrowing a civilian’s car to transport the ransom to its drop-off point. Okawara and his technicians do a marvelous job timing the suspense, with each twist occurring at just the right moment to keep the momentum going. And with assistance from cinematographer Daisaku Kimura, he channels a number of impressive handheld shots and constantly employs the surroundings to breathtaking effect as the characters move from streets to buildings to alleyways. A favorite moment of mine occurs when the younger officer, carrying the bag, dashes into a store (soft-focused vegetation visible in the foreground) to find a shortcut: once inside, he continues running, the camera tracking after him but unable to keep pace, the reporters weaving into the shot a few seconds before it ends. Also impressive is the lakeshore-set resolution: of two characters confronting one another, flashback clips interspersed into their conversation. What could’ve been a drawn-out, talky coda instead becomes genuinely absorbing thanks to grand cinematography, strong actors (headed by Tokyo Drifter’s Tetsuya Watari), and consummately timed editing, as little bits and pieces of the prevenient narrative come together. Abduction exhibits the mark of pure cinema: turn off the sound and you can still understand what’s happening. Even with the language barrier that will exist for some, Okawara’s penultimate film is tremendously enjoyable. If tenth-power lists still mean anything to anyone, this just might’ve been worthy of its ranking by Kinema Jumpo as one of the ten best Japanese features of 1997. And two years later, Okawara returned to kaiju eiga with what he proclaimed would be his last effort in the genre: Godzilla 2000: Millennium. So far, he’s kept to his word (though, at the same time, he hasn’t directed anything at all since this 1999 film) and he most certainly saved the best for last: the finest entry in the series since Omori’s Godzilla vs. Biollante (1989) ten years earlier. Though still far from perfect, the inaugurating Millennium film excels in the areas it really needs to, beginning with the script. Once again, Wataru Mimura is brought onboard; except this time, he’s helped along to better results from both Okawara (whom Mimura claims instilled tremendous input on the final scenario) and Godzilla vs. SpaceGodzilla’s Hiroshi Kashiwabara. Together, they turn out an appealingly subtle plot with memorable characters, an intoxicating sense of reverence for Godzilla, and a refreshing take on the age-old alien invasion trope. These qualities go a long way in helping make this the most splendid, satisfying Godzilla film in quite a spell. The script is rendered even better via strong technical execution. There are far fewer close-ups, several non-intrusive (i.e. they don’t draw attention to themselves) long takes, and the camera’s often placed in interesting spots that add to the visual flair. In one such instance, a government official and some military men march through a building, discussing their plans to bomb a UFO perched atop Tokyo’s City Tower—and the filmmakers position their camera low on the ground, pointing it upwards at the actors, and track backwards to keep the men in frame as they walk. Sometimes individual shots and/or scenes run too long for their own good or simply serve no purpose at all. (Indeed, the run time is the film’s biggest issue.) But as far as I’m concerned, better to have a little too much of something good as opposed to relentless monotony. In addition to Okawara’s improved sensibilities, I imagine the technical upswing in this picture comes from the presence of a new cameraman: Godzilla vs. Biollante cinematographer Katsuhiro Kata. Too bad he wasn’t there from the beginning. Also beneficial: the change in special effects directors. Whereas the professional relationship between Okawara and Kawakita, as expounded earlier, wasn’t exactly smooth and easygoing, the director had nothing but good things to say about his new associate, Kenji Suzuki. “[H]e understands the balance between the effects and human scenes. Suzuki also takes an active part in story creation, which allowed me to introduce my own ideas into the [effects] process.” Having said that, it’s no wonder Godzilla 2000: Millennium features so many wonderful moments of the humans interacting directly with the monsters—Hiroshi Abe’s justifiably memorable death scene, for one. Even the film’s climax (which rehashes the pattern of the humans merely watching the monsters duke it out) seems more “involved” than in other entries: the characters frequently react to what’s happening, and at times, the fight directly affects them, such as when a chunk of flaming debris comes hurling from the battlefield. Godzilla 2000: Millennium also excels thanks to the first all-out decent cast in the director’s sci-fi repertoire. 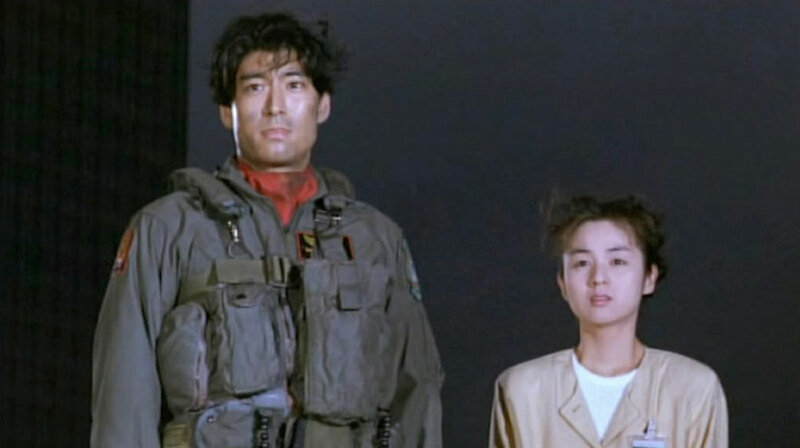 In addition to Takehiro Murata (promoted to lead after a supporting part in Godzilla vs. Mothra), the film benefits from the presence of people such as Naomi Nishida, Hiroshi Abe, and Shiro Sano. These (regularly impressive) actors bring a great deal of charisma and gravitas to their roles in ways the director’s previous casts did not. The sequence of Murata and Sano discovering Organizer G-1 displays an interesting relationship between the two scientists as we see them hungrily devouring the biological wonder at their fingertips, showing little traces of a since-ended partnership we’ve heard about but haven’t seen, until now. And the little moment in which Nishida and Murata bid one another farewell—silently, through glass—is downright wonderful: no dialogue, just facial expressions and gestures. Thanks in part to the leads, Godzilla 2000: Millennium manages, for the most part, to maintain interest even in the absence of special effects footage, something many of the film’s immediate predecessors struggled to do. Not to mention Mayu Suzuki gives what could be the most natural performance by a child in this franchise since All Monsters Attack three decades before. That this little girl never acted in another movie is truly unfortunate, as her father-daughter dynamic with Murata is completely believable. Godzilla 2000: Millennium contains just about everything the last few Okawara-directed entries lacked: good craftsmanship, a solid script, excellent acting. And unlike many of his earlier projects, it perfectly demonstrates the values of teamwork and how far having good collaborators can go in terms of turning out something of merit. While it could’ve afforded tauter spacing and its score doesn’t always relate well to what’s occurring on-screen, Godzilla 2000: Millennium nonetheless represents a nice bounce back to quality following a pretty lengthy slump in the series. This is the “pure entertainment” Godzilla movie Okawara had been striving to create from the beginning. And had his previous three efforts with the character been up to the same level, he just might’ve qualified as one of the better post-Showa directors to tackle the King of the Monsters. When asked about his future plans in 2000, Okawara proclaimed he was done with Godzilla and would be moving on to suspenseful human dramas in the vein of Abduction. Sadly, none of those plans ever seemed to get off the ground, as the man hasn’t made a motion picture in almost twenty years. It is a shame, for his career, despite an incredibly rocky middle portion, did exhibit promise at points; and by the end, he was getting good to the point where I remain genuinely curious as to what he might’ve accomplished had he kept going. Due to the middling-to-awful films he shelled out in early-to-mid ‘90s, I cannot rank him with the genre’s greats, and I do stand by my assertion that he contributed greatly to the decline of the once-excellent Heisei series; but I would be lying if I said I had no interest in seeing him direct something, tokusatsu or not, in the future.